We want our children to wonder about the world around them and be critical when doing so, but this doesn’t come without guidance and development. At Coleridge, we aim to teach children critical thinking skills through our P4C (Philosophy for Children) sessions. Typically, these lessons last between 30 minutes to an hour, and follow a structure which is varied by the class teacher according to the age group of the class. All teachers and teaching assistants have received in-depth training on how to deliver successful P4C sessions, and the results speak for themselves. Our children are empathetic, calm and reasonable, dealing with life’s complexities with sensitivity and emotional intelligence. Long may it continue! 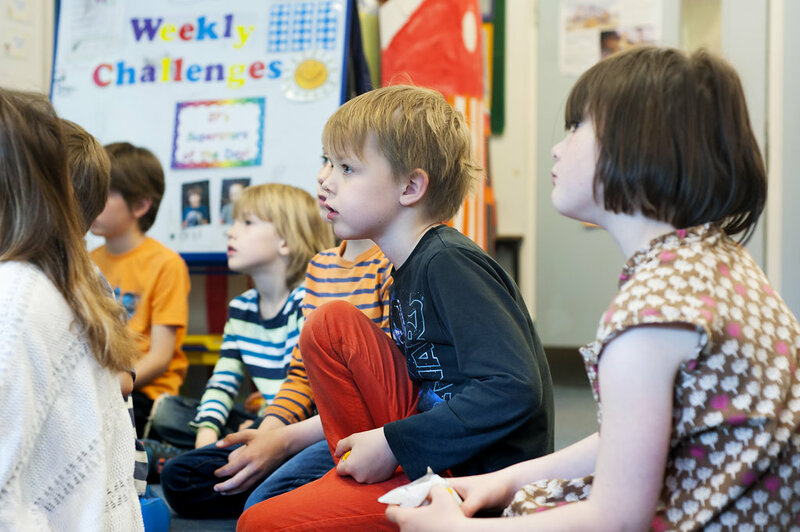 In the infants, P4C sessions are less formal and are often in direct response to issues that may arise, such as friendships, kindness or sharing. The children are introduced to a stimulus, which may take the form of a story, image or piece of music. From this, the children are encouraged to ‘wonder’ about the stimulus and develop their understanding of the concepts within the stimulus. From here, the class teacher will guide the children through a discussion, encouraging children to think about ‘big’ questions as well as ‘little’ questions. In the junior classes, children are taught a more formal and systematic approach to developing critical thinking skills. For a simple step-by-step guide to how we teach P4C in the juniors, have a look at this presentation. If you are interested in observing P4C in action, please contact Ms Davies via the school office.